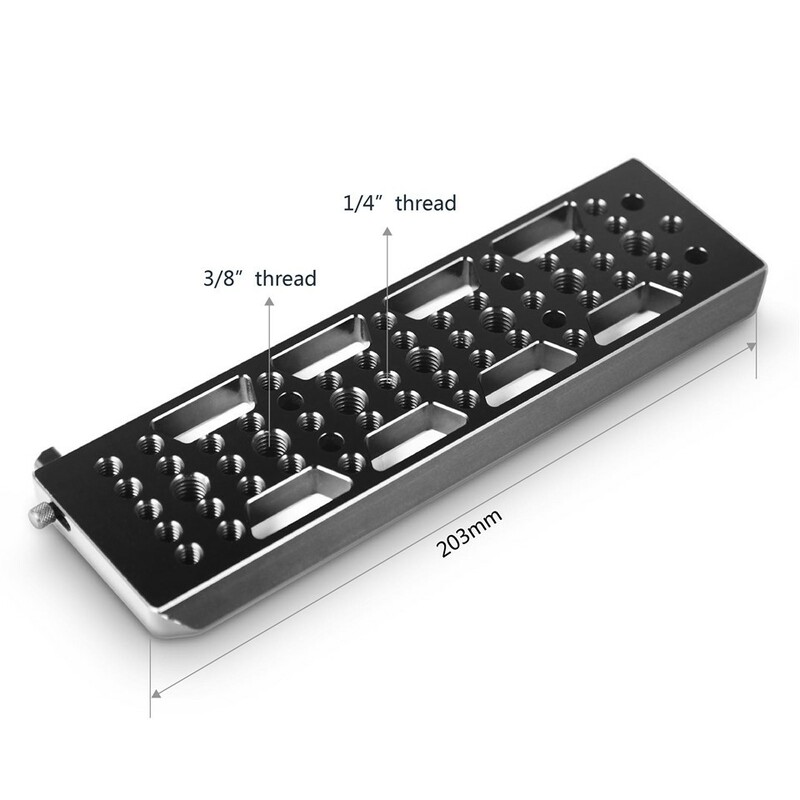 It is equipped with arrays of 1/4’’-20 and 3/8’’-16 threaded holes for sorts of camera rigs, and makes a less cumbersome but more affordable connection between camera and plate. There is a safety latch and a stopper screw at each end. 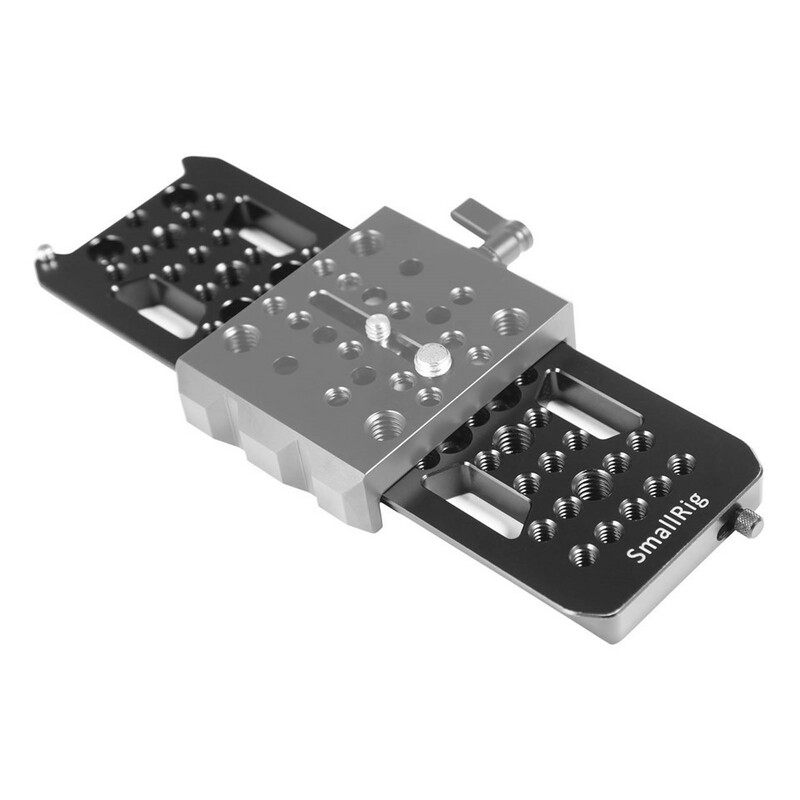 It features 2 arrays of weight reduction slots and chamfering ends. 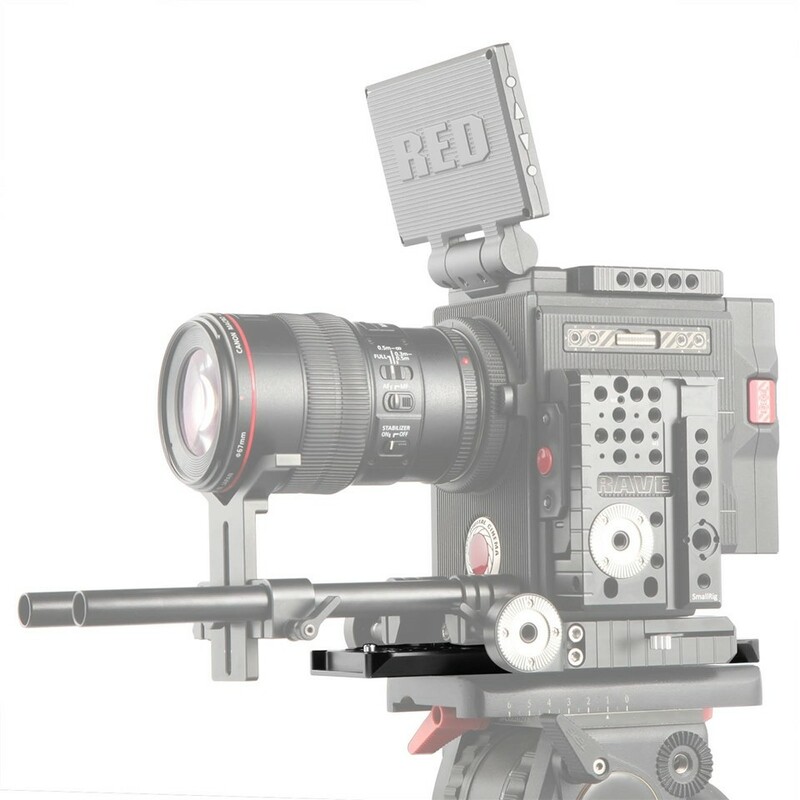 It is absolutely perfect for different cameras’ balance and adjustment along the Arri dovetail plate. It is quite robust and lightweight. 1. It could be mounted and dismounted quickly and easily. 2. 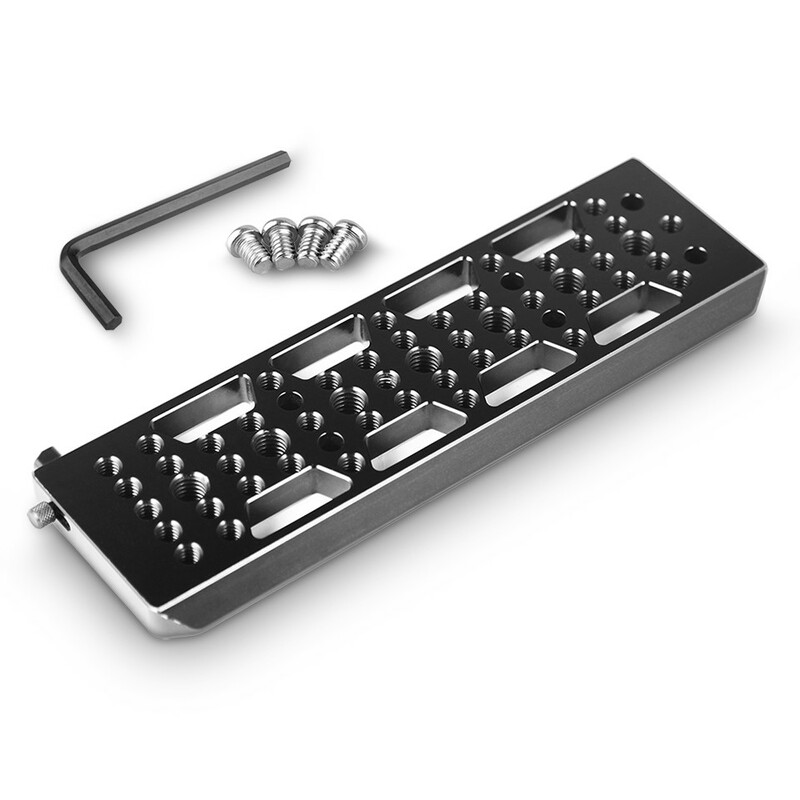 Threaded holes provide plenty of external mountings.